Beltane really starts when the hawthorn tree blossoms. 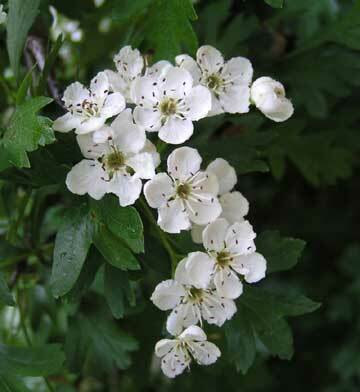 “Hawthorn is burned to purify and bring faery to your eye” – it was said that original maypoles were made of hawthorn. 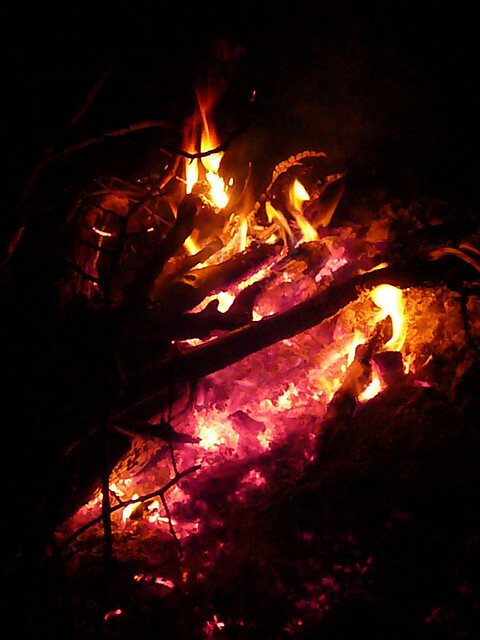 It is good firewood as it burns hot and slowly. Smouldering imagery. The outer impulse epitomised by the growing Sun and warmth which becomes aligned with our inner impulse is towards creating fire and shared warmth. The penetration of heat from the sunlight to awaken sleeping seeds to kickstart germination and produce flowers and fruits. It is a time of frolics when everything seems fresh, new and exciting and there is a heightened sense of anticipation and energy levels begin to rise as does the sap. When we as a species discovered fire we also detected fire within ourselves. Fire has fascinated and excited us ever since. It was originally a case of rubbing two sticks together to create warmth and penetrating fire. Rubbing body parts together has the same effect. Fire is primitive and pwerful. You only have to gaze into flames to feel its power. Do it and see where your imagination takes you. Imagine that you are one of the first humans who ever discovered fire, There had been nothing like it for humans before and it changed us as a species. We had discovered the Sun, our own Sun. The fire within us creates coupling and children, therefore our past and future. The fire within fires the synapses in our brains and ignites our imagination to create our reality. Beltane is one of the Fire festivals, a time to acknowledge the growing regenerative power of the Sun, both above us and within us and below us, deep within the Earth’s core. Dance around a fire, feel the heat rise within you, look to the Sun as it gives us longer days and go out into the world and create. I am the Fire, I kickstart Desire to become a High Flyer Like The Sun, We are One. As Above, So Below, As Within, So Without. Spring into Action and Create a Wonderful Summer Ye All. This entry was posted in Environment, Magic and Quantum Physics Musings, Magickal Workings and tagged Beltane. Bookmark the permalink. Lovely Beltane post. We like the way you deal with the manifestation of the energies at this time of the year, both around us and within us….as you term them, the ‘outer’ and ‘inner’ impulses. We ourselves look at the points in the cycle of the year in a similar manner, except in more of a threefold approach….the appearance on the land/natural world, the effects on the community/ people and thirdly, in relation to the individual’s own psyche. It’s our first trip over to your blog but we’ll definitely be visiting again! Thank you! I will be looking at your blog too! Your approach and insights sound interesting.